Watching To The Arctic is probably the equivalence of transporting yourself to a whole new world, a fading paradise that is unknown to us. Directed by seasoned IMAX filmmaker Greg MacGillivray, To The Arctic is the first film presentation of One World One Ocean, a non-profit organization that aims to educate the world about the importance of the ocean. The trailers are a bit misleading – it’s not only just about a mother polar bear and her cubs, but rather, the film shows the wide array of animals affected by global warming. This 40-minute documentary truly succeeded in bringing out the majesty of the Arctic. The film opens from a bird’s eye point of view, swooping in on the breathtaking Arctic cliffs. 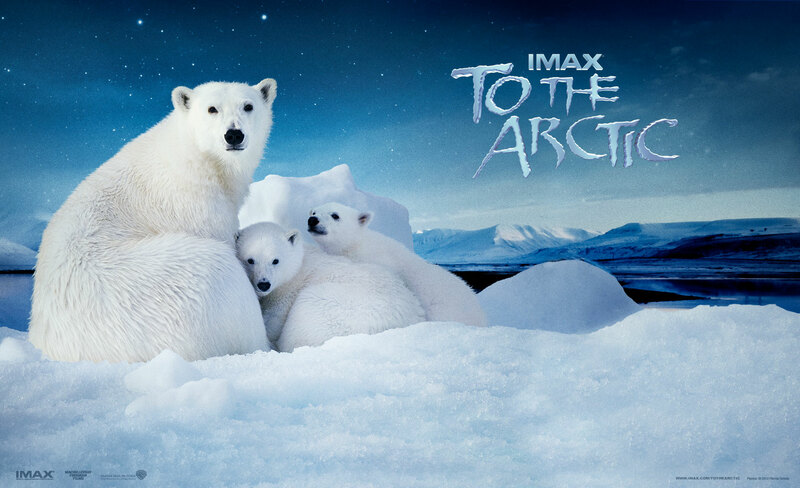 Filmed in the king of all 3D formats, IMAX really works to their advantage, immersing viewers in the harsh, frigid, magnificent realm of the Arctic. The fish eye lenses achieve extremely wide angles that give spectators a panoramic view from the sparse clouds in the sky above to the tiniest cracks in the ice below. The soundtrack by Steve Wood and Sir Paul McCartney lightens the atmosphere, a swelling, tangible symphony that has as much depth as the 3D sights themselves. Narrator Meryl Streep places meaning to every word, and brings in a goldmine of emotion to the script written by Stephen Judson that adds a tremendous amount to the overall tone of the documentary. There’s a fine line not to cross – documentaries can be tedious if they push the environmental message too much. They can also be entertaining to the point we forget the gravity of the effects of global warming. To The Arctic succeeded in walking the tightrope without falling off, using the footage as the balance pole. Sprinkled with awws and LOL moments, To The Arctic drove home the powerful message, especially with the combined elements of motherhood and survival. We embark on a journey with a mother polar bear, whose fierce devotion and willingness to die to protect her seven-months-old cubs touches the audience’s heart. Even so, polar bears can’t survive the rapid rupture of the ice. It is predicted that by 2050, the Arctic will disappear entirely. While they may be powerless to change the environment, we can do our part to protect their icy habitats. To The Arctic pulls at the heartstrings, motivating viewers to save the vanishing environment of the furry white bears as well as the walruses, birds, and caribou. Travel on the ultimate journey to the wild Arctic for the noblest cause – to save the environment. Don’t let yourself sink into the mindset that one person can’t make a difference, because YOU can make a difference! Go to http://www.oneworldoneocean.org/ to help save the Arctic today. To the Arctic will whisk you away on a captivating, amazing and adventurous journey across the arctic. Much of the footage is astonishing. It is about how polar bears, caribou, and walruses struggle to survive in melting ice at the top of the world. In one scene, a diver had to swim underneath the ice in the frigid ocean! He said that the water was so cold that it slowed your brain down. It was amazing how the diver was able to capture the magnificent shots of walruses and the polar bears at a close distance. Grizzly bears traveled to the Arctic and adapted to their environment. They have become the polar bears we now know. Life in the Arctic may be hard for us, but for polar bears, it’s supposed to be paradise. But due to the green house effect the Arctic is heating up twice as fast as other places. Polar bears have slimmer chances of catching their prey such as seals in the frigid environment. The 3D was the greatest I had ever seen in my life! It seemed like the ice was going to fly into your face in the beginning when it exploded. 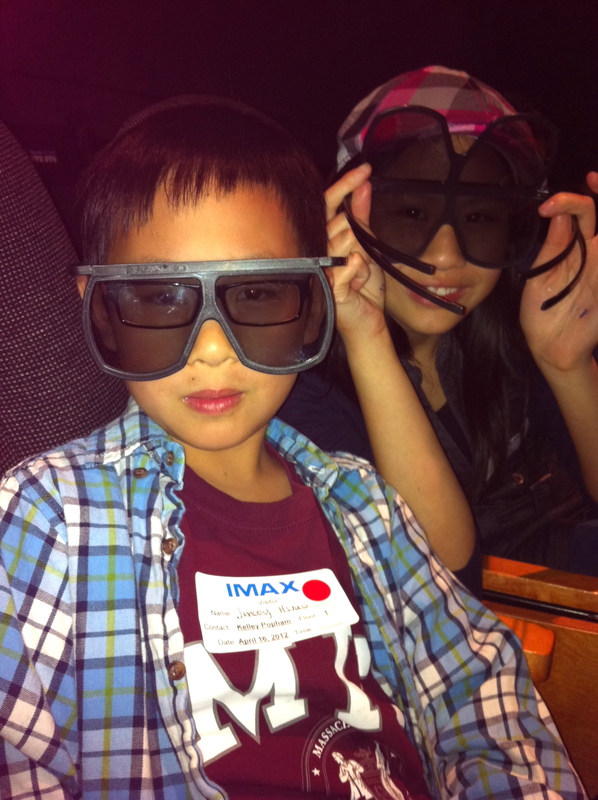 The IMAX effect was so great that once I thought a little piece of ice flew into my face! The IMAX enhanced the viewing experience. I thought that I was actually at the Arctic without being there. To the Arctic is very educational and entertaining at the same time. The message of this film is to inspire people to take necessary steps to prevent the Arctic Ocean from losing its protective cover of ice in the years to come. The loss of sea ice not only affecting polar bears’ habitats but also everyone on the planet. All ages can watch this movie. I rate this movie 5 stars and a Pick It! If you want to find out more information about the Arctic, watch it yourself! The earth seems to have problems too big for us to do anything about them. But I decided that the little things I do can make a difference, even though I can’t change everything. 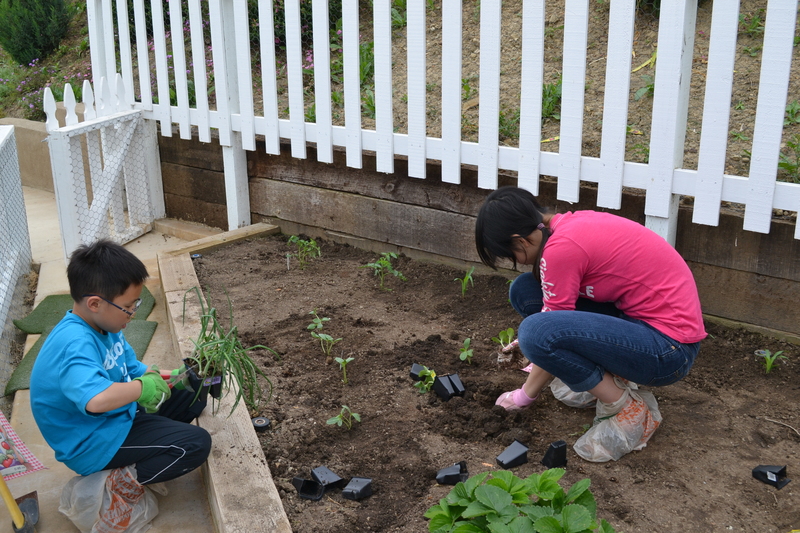 Last year on Earth Day, my family turned a glop of mud in our backyard into a magnificent garden – Garden of Eden. This year on Earth Day, we cleared the land and started anew. When harvest time comes around, my family and I pick and eat fresh vegetables and fruits from a garden that showcases our commitment to healthy food choices and sustainable living that makes a difference in our world. This past April, we planted little seedlings all over our small plot of land. 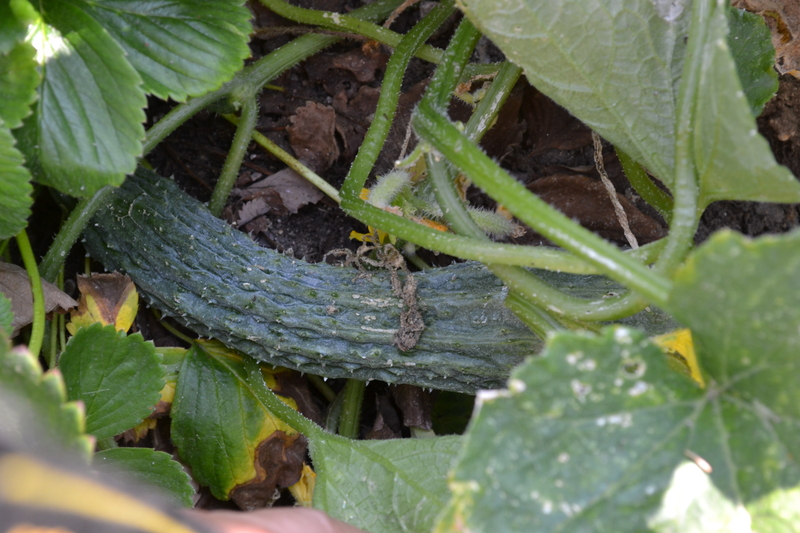 Overtime, we meticulously watched our crops slowly grow and blossom into beautiful plants. 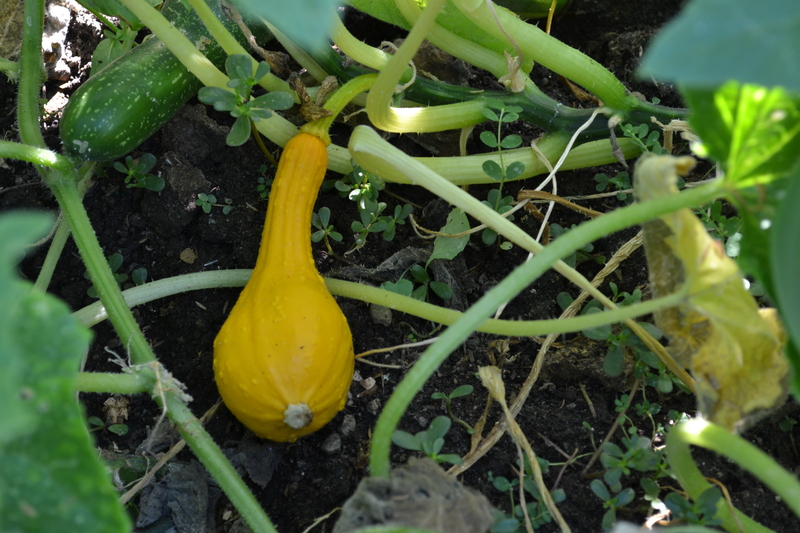 Only now in the summer can we enjoy the superlative flavor of the fruit and veggies our crops produced. 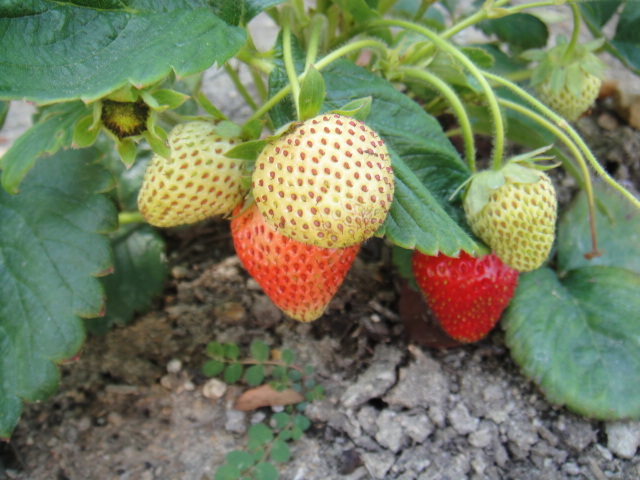 Nothing is more refreshing than fresh luscious berries in the summer. My taste buds jump with ecstasy as I pop blueberries, blackberries, and strawberries into my mouth. 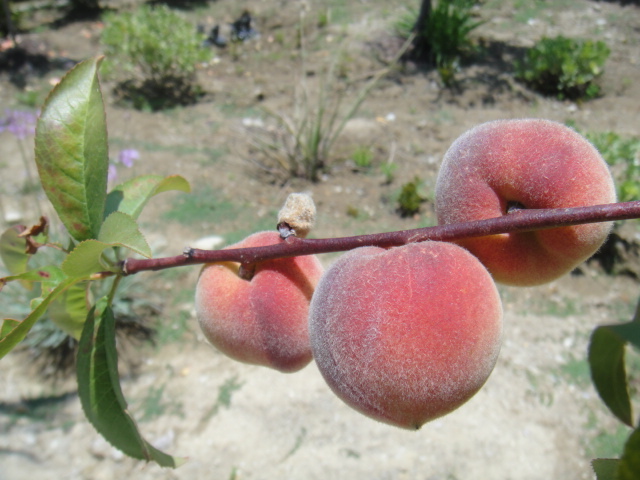 Our high-quality, richly flavored peaches and apricots colors orange with a little red and yellow blush. The tang of the fresh orange juice from oranges plucked right from our backyard is simply ethereal. The crunch of the cucumber and the delicious flavor makes me feel as cool as a cucumber. Mmm-mmm! 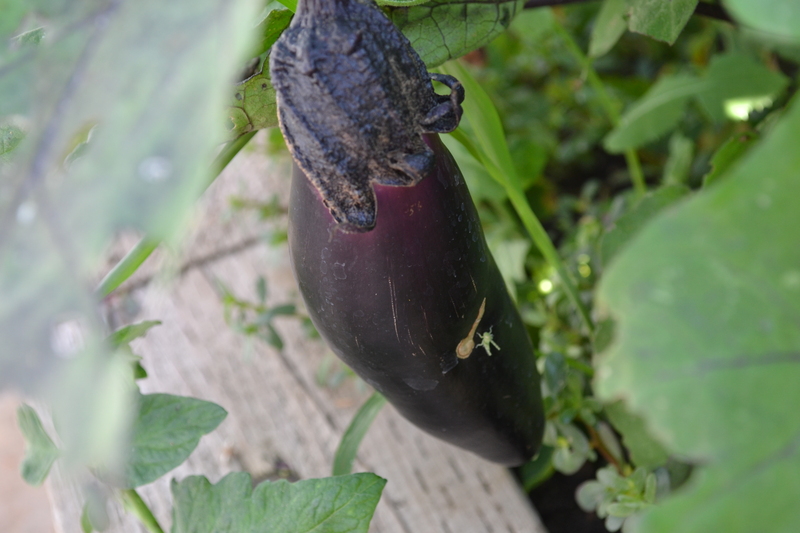 My family loves the mouth-watering eggplants, jalapenos, and the green and yellow peppers – a scrumptious hearty meal. 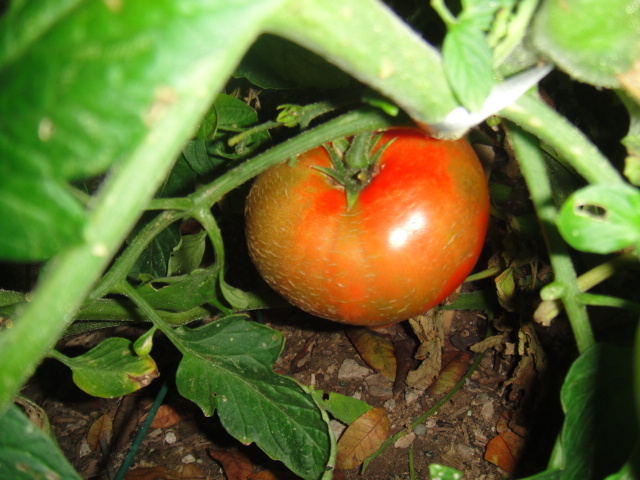 The delectable tomato in our spaghetti comes from the Garden of Eden. 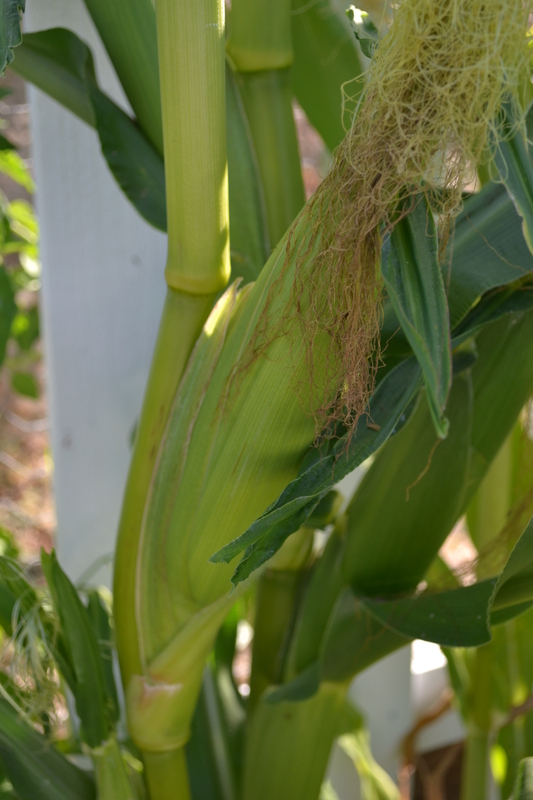 We select the sweet corn by looking for husks with lush green coloring and pale silks. Since our baskets are often overflowing with our own vegetables and fruits, we give them away to our neighbors and friends. 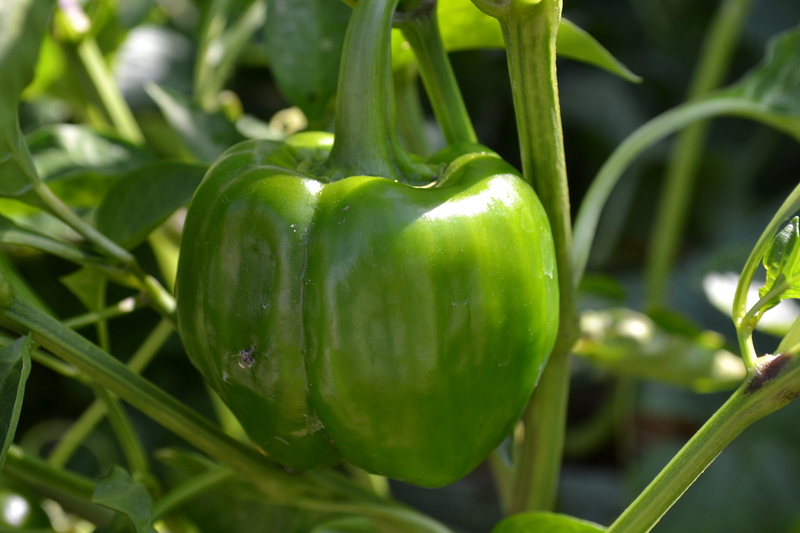 Our garden is fruitful and productive, and planting your own garden is not only a great way for families to go green – it is also a great way for kids to learn about science, watching the crops from seedlings to full-grown plants. 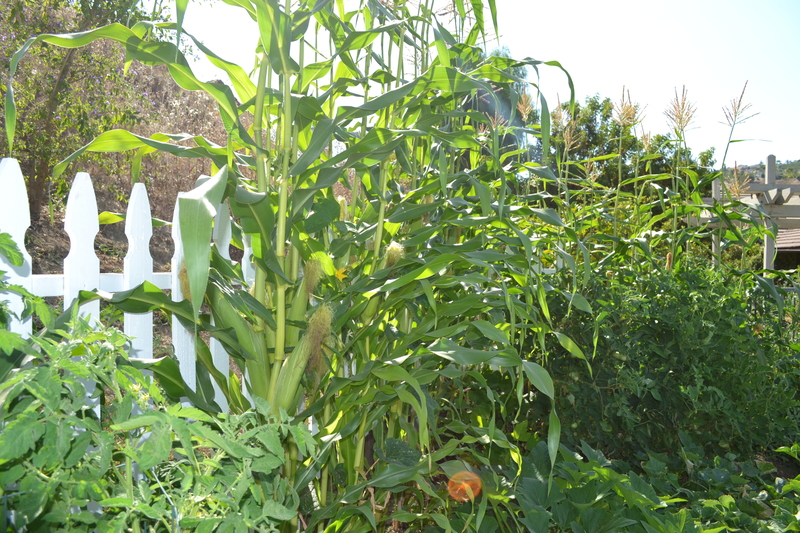 My family along with many other gardeners view gardening as a break from our busy and modern lives. Gardening also gets me out in the sunshine and in the fresh air. It is an amazing way for our five senses to experience nature. 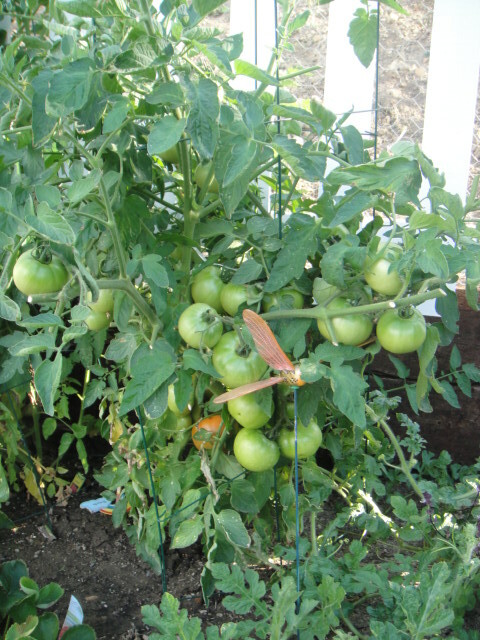 Take advantage of the sunny Southern California weather while maintaining a beautiful garden and a continuous income of fresh, healthy, organic, fruit and vegetables!! !